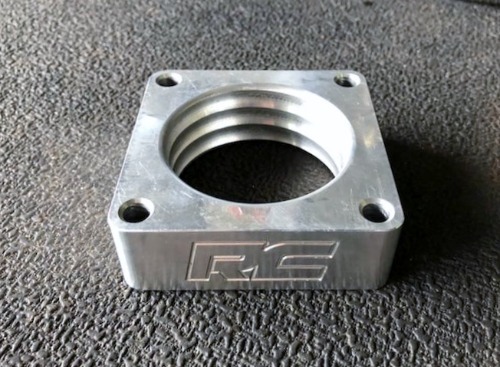 Here is an aluminum Rough Country throttle body spacer. This spacer helps to improved torque performance. This will fit 97-06 TJ, 04-06 LJ, 87-95 YJ, 84-01 Cherokee XJ, and 86-93 Comanche MJ. It only fits models with 4.0L and 2.5L engines with 4-bolt throttle bodies. This may fit other models or years, please check your application. Used parts are expected to have some wear, surface rust, scratches, etc. Be sure to check out the pictures!